Be the first to share your favorite memory, photo or story of Mary Elizabeth . This memorial page is dedicated for family, friends and future generations to celebrate the life of their loved one. Mary Elizabeth Watkins Timmerman, 86, wife of the late Raymond T. Timmerman oHighland Ave., Edgefield, SC entered into rest Friday, November 23, 2018. Funeral Services will be 11 AM Monday, November 26, 2018 at Edgefield First Baptist Church in Edgefield, SC with burial to follow in Eastview Cemetery. Mrs. Timmerman was born in Greenwood, SC and was the daughter of the late Huel Elwell and Fannie Runette Burnett Watkins. She was a retired Secretary for Reel Insurance Company and a member of Edgefield First Baptist Church. Survivors include three children, Emily Quattlebaum; Wanda S. Timmerman, and Danny (Deborah) Timmerman; seven grandchildren; and 10 great grandchildren. Memorials may be made to Edgefield First Baptist Church, PO Box 624, Edgefield, SC 29824. The family is at the home and will receive friends Sunday, November 25, 2018 from 4 to 6 PM at Edgefield Mercantile Funeral Home. To plant a tree in memory of Mary Elizabeth Watkins Timmerman, please visit our Tribute Store. 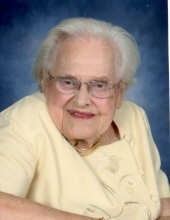 "Email Address" would like to share the life celebration of Mary Elizabeth Watkins Timmerman. Click on the "link" to go to share a favorite memory or leave a condolence message for the family.